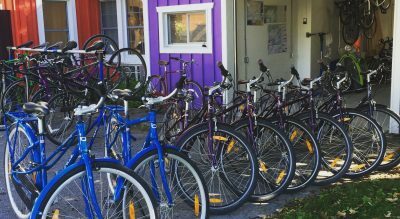 Located in the heart of Wellington, Ideal Bike has a selection of rental bikes to suit your your trip. Enjoy a our comfortable hybrids, lightweight road bikes or explore the trails on a fatbike. Grab a map and ride off on your own or choose from one of our guided tours and let us share some of our favourite sights and places. Our staff members are experienced cyclists who have bike-toured, raced and even messengered. 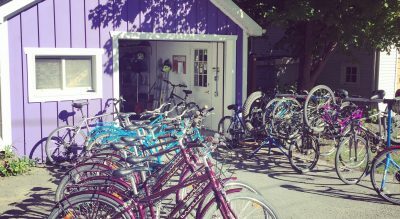 We love to ride and we want to share the natural beauty, fun and history of Prince Edward County with you. 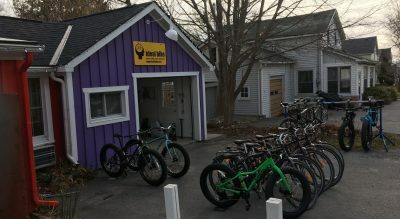 Does your own bike need some TLC? We can fix it. Spot repairs are done on site, and bigger jobs can be shuttled to our Belleville location and returned to you. 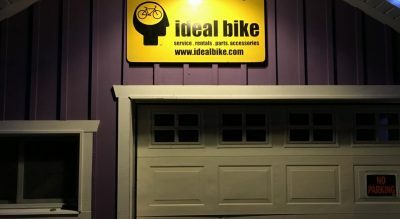 Our Belleville location is our flagship store www.idealbike.com . Stop in or contact us with any questions. We love talking about riding bikes, almost as much as riding them. Ideal Experiences, Rentals, Sales, Repairs & Rides. PECounty + Quinte.